Learn more about Simple Cremation Evansville with our Frequently Asked Questions section. 1. Does the price you are quoting include everything, or are there add on fees that I need to be aware of? 2. Where is my loved one going to be taken and held prior to the cremation? 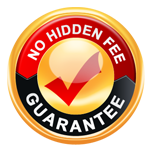 At Simple Cremation Evansville we offer a No-Hidden Fee Guarantee, the price we quote is the price, no surprises. Prior to the cremation, your loved one will held in our climate controlled holding area. No, embalming is not required. However if you choose to have a public viewing or funeral service prior to the cremation… embalming may be required. No, we have found that many families prefer to make arrangements in the comfort of their own homes. The arrangements can be handled online, by email, fax, or mail. Yes. We offer services that allow immediate family members to briefly view the deceased prior to cremation in a private viewing room at the crematory. To arrange a cremation, the person or persons who are legal next of kin must consent to the cremation, by signing an authorization form. Our staff will prepare the death certificate and cremation permit. The death certificate will be taken to the physician who will sign it. After the death certificate is completed by the physician, it is taken to the health department in the county where death occurred. The health department contacts the medical examiner for that county who must approve the cremation permit. Upon receiving approval from the medical examiner, the local registrar of vital statistics will issue a cremation permit along with certified copies of the death certificate. After all of the properly executed documents are received in our office, the actual cremation can be scheduled. Yes. You are always welcome at our arrangement office, please just make an appointment prior to your visit. We are also available to come to your home, or meet you at your convenience. It takes about 7-10 days to get the cremation complete.